Chop the garlic and onion and fry in a little sunflower oil until soft. Add the tomatoes, cover, and simmer for a good 30 minutes: you want the tomatoes to have broken down a bit. If they taste a bit sharp add a little sugar to take the edge off. Season to taste. 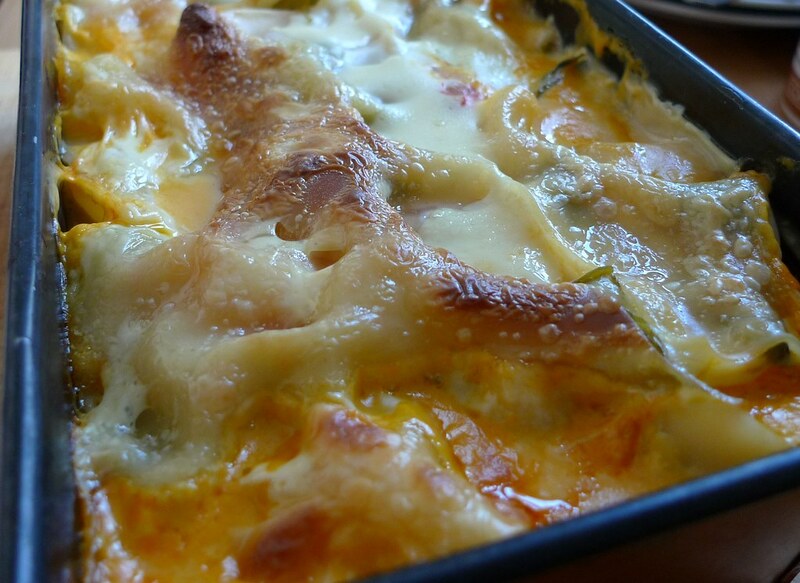 Layer the courgettes, tomato sauce, basil, lasagne sheets and bechamel sauce in turn. My tomato sauce was a little runny so I used a slotted spoon to take just the tomatoes.